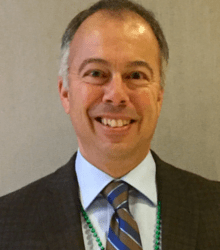 Academy MetroWest Director, Bruce Sabian, M.A., LMHC, is available to provide Executive Function Coaching services to children, teens and young adults. Bruce is a graduate of the JST Coaching and Training program and brings over 30 years of experience working with children and adolescents with ADHD, ASD, Executive Function Delays, and Learning Disabilities to his work as a coach. Coaching is a supportive relationship that provides a goal-directed, structured, and focused approach to help young people identify and accomplish specific goals and tasks. It provides motivation, accountability, encouragement, organization, and follow through. The goals can be focused on anything the client wishes to work on, from school, work, family and/or social relationships, or health and lifestyle changes. The coach takes an active role in offering suggestions, brainstorming, and encouraging the client. He or She also provides accountability to the client in the way of tracking progress, email or text check-ins, and eliciting involvement and motivation from the client. Executive Function Coaching is available to motivated clients who are age 12 and up. Please contact Bruce Sabian, M.A., LMHC, at bsabian@academymetrowest.com or at 508-655-9200 for more information or to schedule an initial consultation. Academy MetroWest staff members, Gary Steinberg, LSW, Hope Notaro, M.A., Tim Couto, M.A., and Bruce Sabian, M.A., LMHC, also provide individual counseling and mentoring to families and children. For information, please call us at 508-655-9200 or email us at info@academymetrowest.com.